Wyndham Ocean Boulevard- 2 Bedroom, Great Pool and Lazy River! Property 9: Wyndham Ocean Boulevard- 2 Bedroom, Great Pool and Lazy River! 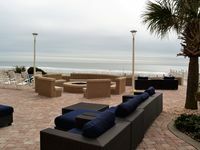 Wyndham Ocean Boulevard 3 Bedroom Presidential Suite - Upgraded Unit! Property 18: Wyndham Ocean Boulevard 3 Bedroom Presidential Suite - Upgraded Unit! We had a wonderful time at the condo and we were pleasantly surprised to have a higher floor ocean front room! Everything was comfortable and the staff at the Wyndham was more than accommodating! There is so much to enjoy while staying at the complex!! 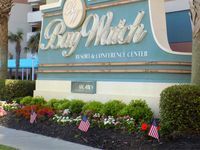 We will stay here again the next time we visit Myrtle Beach! !